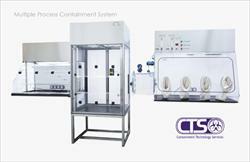 Our enclosure systems are designed to provide safe weighing, handling and climatically controlled environments for the handling of potent drug compounds. We have many years of experience in the Pharmaceutical industry and understand our customers’ requirements and use complex engineering design software (solid works) to generate detailed drawings of our enclosure products so our customers can be involved in the design process. We are able to offer Consultancy, Design, Production, Installation, Commissioning, IQOQ, Service and Training for all our products. 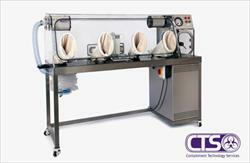 Lab-Bubble was designed and manufactured by CTS Europe Ltd. The Lab-Bubble is a versatile piece of containment equipment that can be used to provide many different types of safety or controlled environments required simply by using additional components to change the function of the enclosure. 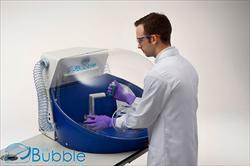 The Lab-Bubble is designed and tested for a number of applications: Chemical Handling, Weighing, Powder handing, PCR work, Aseptic handling, Dry environments and even Temperature and Humidity environments. CTS also offer on-site training workshop specifically designed for drug handling applications in the pharmaceutical laboratory. 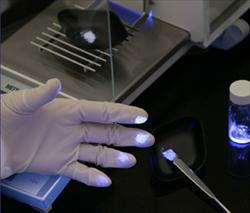 We train up to 15 analysts in one day teaching contamination awareness and safe weighing techniques specific to the analyst’s application. 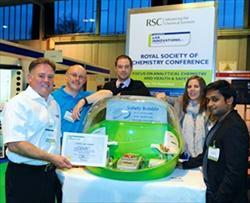 Lab Bubble won top prize at Lab Innovations 2012 and Labo-Forum France 2013!